DETROIT — When the Allied Media Conference returns to Detroit in June for its 20th year, a new dynamic will be in place to highlight Detroit-owned food businesses and connect global chefs to local farms who have community and social justice in mind. One focus of the DIY media summit set for Thursday through Sunday at Wayne State University will be a “Dream Cafe” where a group of local and national chefs will take over the Cass Cafe in Midtown to serve pop-up meals using locally grown food. The cafe, prominently featuring female chefs, will be open to conference attendees and the public. 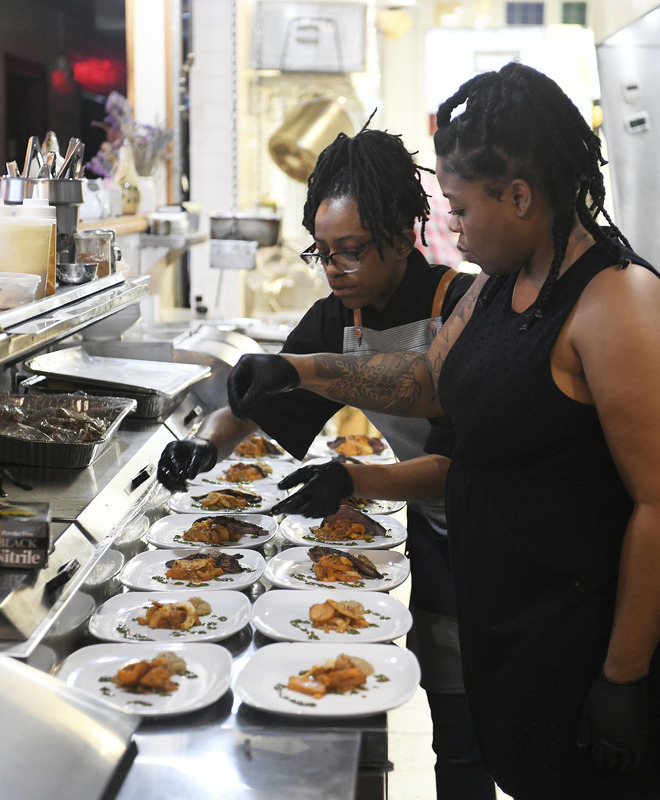 The Detroit News reports that finding affordable and nourishing food that is equitable and sustainable is a persistent challenge, not just in Detroit but all over the country, said Allied Media Conference’s culinary director Ora Wise. She said the point of the conference, which draws 2,000-3,000 people each year, is to develop ways to overcome these obstacles and share best practice models. In 2013 the Small Business Administration’s Office of Advocacy published a report that found Hispanic and Black entrepreneurs are less likely to be approved for loans and lines of credit than whites. The Washington Post reported that, according to the Federal Reserve, minorities that are approved pay higher interest rates than whites.